One time last winter, I decided to chance it and not put on any sort of sock or shoe on my feet when I went outside to help with groceries. Long story short, the pain from your feet heating back up is definitely worse than raising up and hitting your head on a cabinet door, desk, or anything of that sort. Stay safe my brothers. 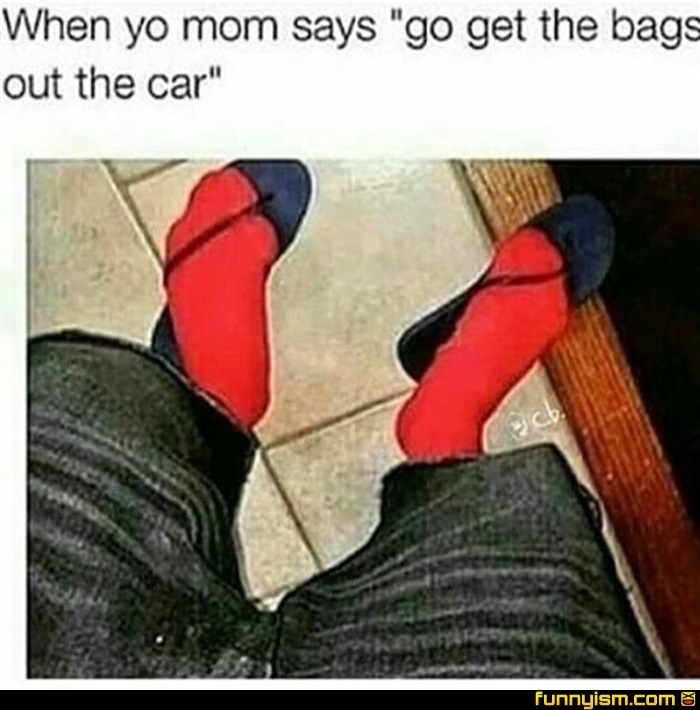 Still a better alternative to putting effort into putting on shoes. @Sweet Lordy Lucifer , you better stay south son, round here momma's would do it barefoot too. Pansies. I go barefoot. I'm fine, I've got callous. @I Are Lebo, are you sure you're not a hobbit? @a shiny haunter, well, I'm 6'3", so yeah, pretty sure. @I Are Lebo, worlds tallest hobbit? What about second breakfasts and such? @a shiny haunter, yeah, I'm down for that. I'm kinda fat. @Cobaltqube, even worse, they're flip-flops.